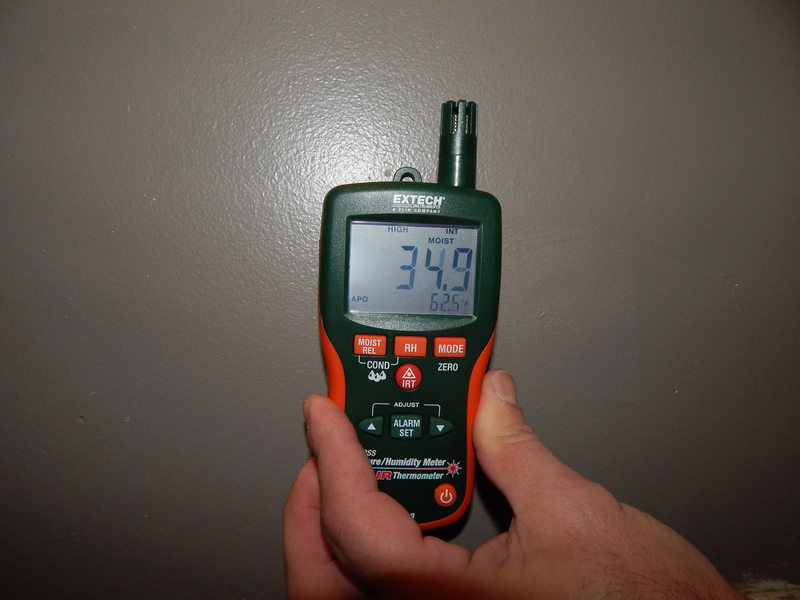 Pictured here is a non-invasive moisture meter used to detect moisture without puncturing holes in surfaces. In this particular case, the insurance company told the customer who had a water loss, that there wasn’t any cause for concern with the walls and that the damage was only on the floors. Upon us checking the wall, and this photo is twelve inches off of the ground, you can see the high reading of moisture within the cavity. This small process can save customers thousands of dollars in potential mold damage later down the road.